While picking up a few makeup bits for my friend a while ago, I finally got my hands on some lip creams. I had been wanting the Maybelline Vivid Matte for a while so I immediately picked that up. 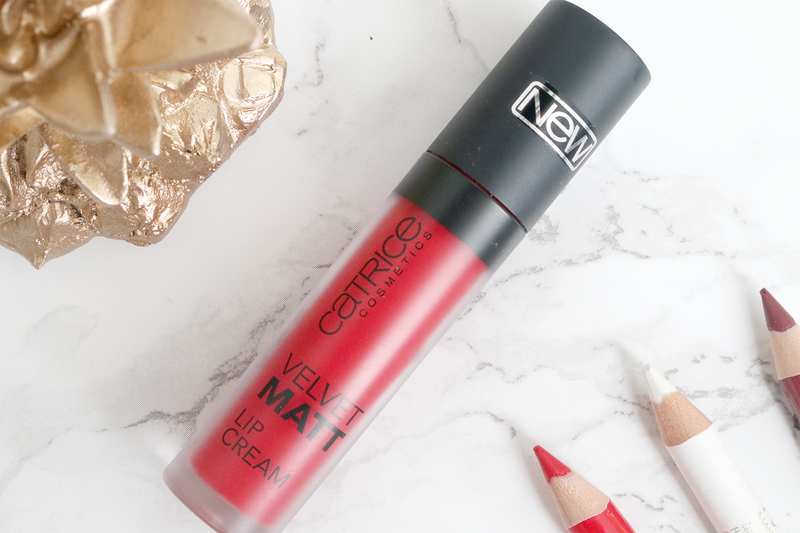 I hadn't heard much about the Catrice Velvet Matt Lip Creams but I have quite a few products from Catrice that I absolutely love, so I picked it up on a whim since it wasn't expensive. 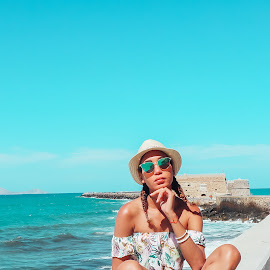 I love trying new product and lip products are one of my favourites. Honestly, I cannot even count how many shades of red I currently own, but another one is always needed. 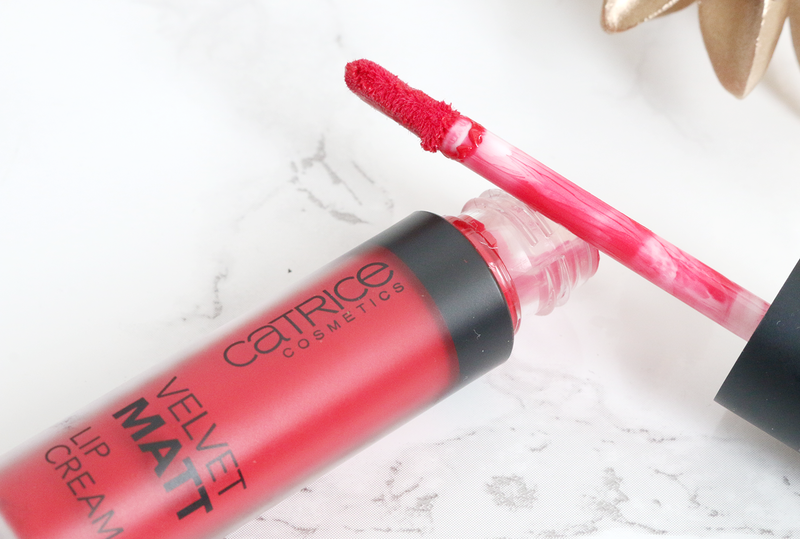 The Catrice Velvet Matt Lip Cream comes in a lip gloss tube like a lot of lip creams. 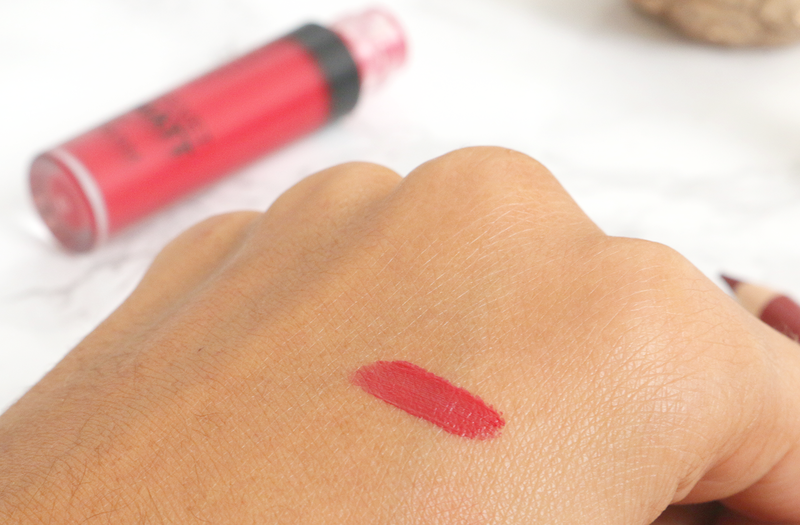 It is quite pigmented, but in order to achieve a true opaque lip colour, you'll have to apply 2 layers. This lip cream contains vitamin E which protects your lips from UV rays and acts as an antioxidant to fight against skin cell damage. It is very moisturizing and glides on smoothly. 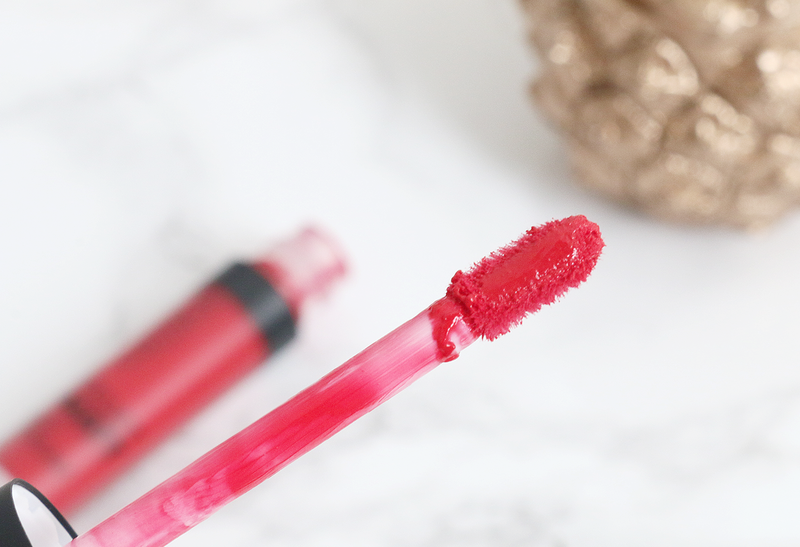 Once applied, it gives a velvet matte finish which feels soft and silky on the lips. I was expecting it to be a bit more matte, so I was slightly disappointed at first, but after trying it a few times I began to like it because it is creamy but not glossy. I picked up the shade the shade REDvolution and I've worn it both for a night out and for a day at work. Unfortunately, the staying power isn't very good. The lip cream tends to wash off quite easy, which is the downside to this product. When I apply it in the morning, everything is perfect till the moment I have to eat or drink something. 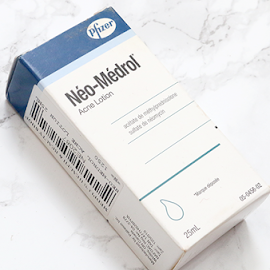 So I'll only recommend using this during the day because having to reapply a bunch of times on a night out isn't something you want to be bothered with. Likes - contains vitamin E & has a creamy consistency. Dislikes - Not matte enough, staying power isn't very good. What is your favourite lip cream & your go to shade?